Six-time Paralympic swimming champion James Anderson is retiring after a career spanning two decades. 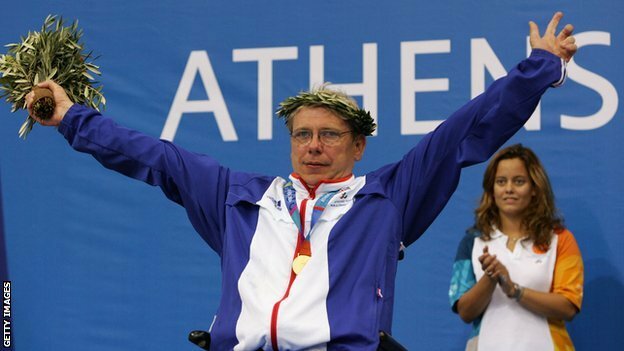 Scotland-born Anderson, 49, was the oldest Team GB swimmer at the London 2012 Paralympic Games. Anderson’s career highlights include winning four gold medals at Athens in 2004. “I hope to be involved in disability sport and will look at other options for participation and possibly coaching,” said Anderson. Anderson competed in his first international in 1994 and was awarded an MBE in 2005 before receiving an OBE four years later. “I would like to thank all those who have helped me over the last 21 years from coaches to swimmers, support services and especially my parents,” he added.